Legendary Days of our Lives actor Bill Hayes made an impromptu appearance earlier this week on The Tonight Show Starring Jimmy Fallon. 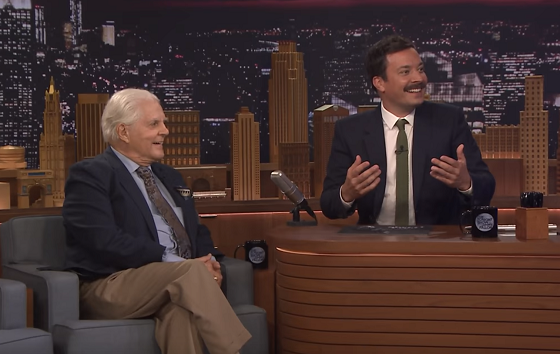 During a commercial break, Fallon was speaking to the audience when Hayes's grandson pointed out that next to him was an audience member that had been a guest on the show three times, with former hosts Jack Paar and Johnny Carson. Fallon then brought Hayes on stage and interviewed him before returning live on the air to introduce Sheryl Crow. Watch it happen in the video below, which is sure to make you smile.